The Rev. Dr. R. Drew Smith earned his undergraduate degree from Indiana University, and earned his Master of Divinity, Master of Arts, and Ph.D. from Yale University. Both a political scientist and a clergyman, he has initiated and directed a number of projects related to religion and public life which have collected research data on political involvements, community development activities, and outreach ministries of churches, especially African-American churches. He has also conducted similar research in South Africa, including while serving in 2005 as a Fulbright professor at the University of Pretoria. His overseas involvements additionally include serving in 2009 as a Fulbright senior specialist at Presbyterian Theological Seminary in Cameroon and lecturing in many international venues including as part of the U.S. State Department’s Speakers Bureau. 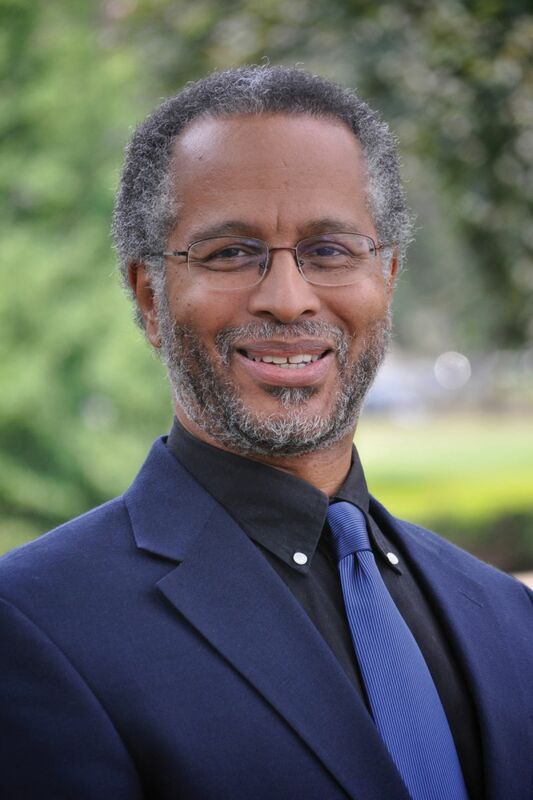 He has served since 2010 as co-convener of the Transatlantic Roundtable on Religion and Race, an initiative that convenes scholars, religious leaders, and community activists from across the transatlantic region for purposes of advancing progressive approaches to persistent racial problems in various contexts. In addition, as a Baptist clergyman, he has ministered in a number of parish, prison, and campus ministry contexts. Before coming to Pittsburgh Theological Seminary where he serves as professor of urban ministry, he was scholar-in-residence and director of Religion and Public Life Projects at the Leadership Center at Morehouse College. He has also served on the faculties of Indiana University and Butler University and as a visiting faculty member at Emory University and Case Western Reserve University. He has published widely on religion and public life, having written numerous articles and chapters, and edited or co-edited eight books: New Day Begun: African American Churches and Civic Culture in Post-Civil Rights America (2003); Long March Ahead: African American Churches and Public Policy in Post-Civil Rights America (2004); Black Churches and Local Politics (2005); Freedom’s Distant Shores: American Protestants and Post-Colonial Alliances with Africa (2006); From Every Mountainside: Black Churches and the Broad Terrain of Civil Rights (2013); Churches, Blackness, and Contested Multiculturalism: Europe, Africa, and North America (2014); Contesting Post-Racialism: Conflicted Churches in the U.S. and South Africa (2015); Religion, Culture, and Spirituality in Africa and the African Diaspora (2017); and Urban Ministry Reconsidered: Contexts and Approaches (2018). He has recently completed writing a book on contemporary black clergy activism under contract with Columbia University Press. He has received many honors and awards for his academic leadership, including selection in 2002 as an Emerging Leaders Fellow by a Duke University/University of Cape Town program on Leadership and Public Values, and selection in 2008 for an Indiana Governor’s Black Expo Leadership award. He is married with one adult daughter. Drew Smith’s 2017 sabbatical “was both productive and centering—things that don’t always work together,” he notes. He goes on to explain that it was centering because it was “full of deep reflection and prayer.” It was productive because of a number of major projects he pursued. Going forward, the conference will take place every other year to give the co-conveners more time to focus on the organization’s groundwork, which involves, for example, regional research groups. “In early December a Kenya-based Transatlantic Roundtable colleague and I received a grant through the Africa Theological Advance Initiative of Calvin College’s Nagel Institute that will boost this regional work,” Drew notes. During his sabbatical, he co-authored the $50,000, two-year grant to do research and applied work related to assessing cultural and Christian practices of reconciliation in East Africa. “Beginning on Jan. 1, 2018, the grant will help fund a regionally based team to do field research in Northern Uganda and Nairobi (Kenya), and with South Sudanese who, because of the conflicts in Sudan, have had to relocate to Uganda and Kenya,” says Drew. “The East Africa research group will interview people affected by conflicts in South Sudan and Northern Uganda, as well as church leaders and community leaders engaged in peace and reconciliation efforts within those contexts.” The findings of this regional research group will comprise a large part of the reporting in the 2019 Transatlantic Roundtable conference, which will take place at Hekima College’s Institute of Peace Studies and International Relations. Hekima, where Drew’s research partner is based, is part of the Catholic University of Eastern Africa, a multi-campus university in Kenya. Drew’s next big project partly related to this work will be writing a book that examines religious conflict in Africa against a backdrop of U.S.-Africa relations from the colonial era forward. “My examination will serve as a window on religious conflict both within Africa and between Africa and the U.S., but with a broader purpose of teasing out their respective conceptions of ‘the common good,’” Drew elaborates. His book will consider how Africans and Americans reflect on “the common good” as a guide not only for local and national contexts but also for today’s global context. While Drew works on these projects, be on the lookout for his soon-to-appear book, Black Clergy Engagement: Religious Authority and the American Public Square (Columbia University Press) and his upcoming article, requested by the World Council of Churches’ Faith and Order Commission, on U.S. Protestant denominational responses to slavery. * This material expresses the research and opinion of Smith and is not necessarily the opinion of Pittsburgh Theological Seminary faculty, staff, or Board of Directors.